As Summer Slaughter ends all the bands look forward to what is next for them. Many have tours lined up, some have new music to write and record. For The Faceless however, many are wondering what their next move truly is. The band has released two singles since their last full-length release Autotheism, and have undergone several line-up changes. All this pressure could get to a touring band, but not The Faceless as they have turned that pressure into diamonds of musical genius. As a die-hard fan of the band, there is one diamond I am interested in. When is there going to be a new album, and what will be the direction of it musically? I was very fortunate to have my question answered by front man Michael Keene, among a few others after their final set at Summer Slaughter. GA: Since Your last album Autotheism, the band has dropped two singles, The Spiraling Void, and Black Star. Are there any plans to put out a full length? MK: The new album is actually completed. The record is called In Becoming a Ghost, there is not quite an official release date yet, but our label is looking at tentatively a release at the end of December. GA: The latest single Black Star, has progressive feel to it more so than previous works, is this possibly a music shift writing wise for the band or was this just an experimentation for this song? MK: I wouldn’t say it’s just an experimentation for that song, but rather an expansion of themes that the band has explored before. I think I was trying to expand on those kinds of progressive themes on that song as well as the album when writing. 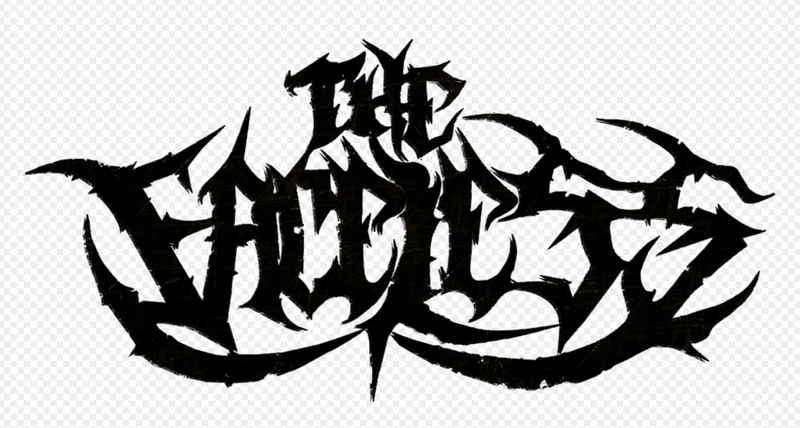 GA: The Faceless has endured several line-up changes over years with many talented musicians entering and then exiting, which can be a challenge to any band. How does the Faceless adapt and overcome to these situations? MK: Do the best we can mainly, and hold on for dear life. I think that’s all anyone can do in these types of situations. It’s either that, or give up, and I don’t feel like doing that yet. JM: We are not ready for that yet. Quitting is not an option. GA: Over the years Michael you have been known to play on 6 string guitars. I have also seen in articles that you were possibly branching out to using 7-string guitars and even 8-string guitars for future recordings. What is your take on using extended range instruments for future songs? MK: I probably won’t ever play on an 8-string guitar. I think it is a bit much for me. There is a song on the new record that is played on a 7-string guitar. There is also a song on the new record that was written in E standard as well. It’s been more of a whatever feels right approach for this album. KS: We are going both ways (on the spectrum of writing). It’s going to sound sick once you hear it. GA: How has Summer Slaughter been for the band, and what has been the crowd’s reaction been? MK: It has been solid. It has been a fun tour. Summer Slaughter is always good, you really can’t complain about it. It’s always a good time. JM: Sick crowds, and sick bands! KS: It has been fantastic! There is no way you can complain when you on a tour of this caliber. You are playing to a ton of people every night. MK: There are no flop nights on this tour. The worst show is still pretty damn awesome. MK: I am playing Jackson Guitars, and we are endorsed by Dunlop strings & picks. We also endorse Gator cases. JM: I am using Jeff Keisel Guitars, Carvin Guitars, Fractal Ax FX, I’d like to thank Mark Day. Also, I want to include Converse for providing the best shoes and clothing possible. GA: What is next for the band? MK: It is still to be determined, but we are going to be on tour for the release of our new record. What that will be we are still not sure. What may happen is we will plan for a headlining tour, unless other opportunities come our way. MK: We have a new record coming out, In Becoming a Ghost, so be sure to check that out soon. JM: Don’t give up on us, we haven’t given up on you. KS: God is dead, hail science. I want to thank Michael Keene, Justin Mckinney and Ken Sorceron for speaking with me, I can’t wait to see what The Faceless does next. In the meantime, I will be waiting patiently for the new album to drop. Be sure to check out In Becoming a Ghost due out late 2017, for now make sure to check out the singles The Spiraling Void, and Black Star. Newer:Exclusive Video Premiere: Gold Steps - "Misery Loves Company"Older:Watch Danzig's New Video For "Last Ride"